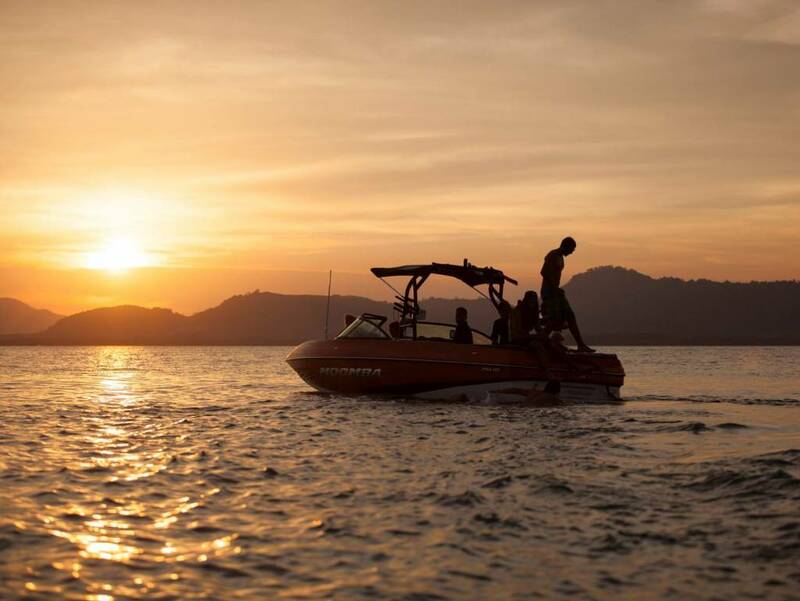 Wild Wake is the premium watersports school and wake boat operator in Phuket ande runs a variety of wake sports tours, activities and charters for beginners and pros alike on the brand new top of the range 25ft Moomba Mojo wake boat. 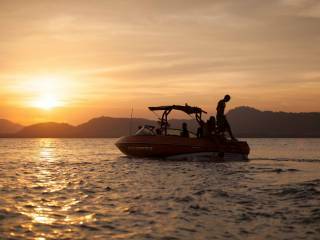 Wild Wake’s office and base is at the Royal Phuket Marina where the friendly team is always available to help book a tour, activity or charter suitable for all. Try ti wakeboard, wakesurf, wakeskate or kneeboard - the team will ensure a fantastic day out on the water! 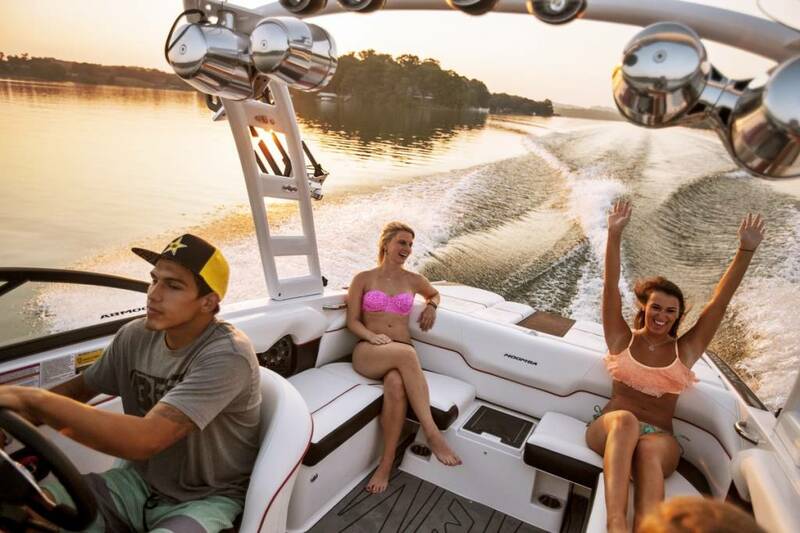 Wild Wake currently uses a 2016 model 25ft Moomba Mojo wake boat for all wake activities. The Moomba Mojo has 2500lbs of water fillable ballast to enable the perfect wake to be created for wakeboarding, wakesurfing or whatever wake sport clients wish to try, while still having space for up to 15 customers at any one time (although under 10 persons allows for maximum comfort aboard)! Wild Wake takes the safety of customers extremely seriously. 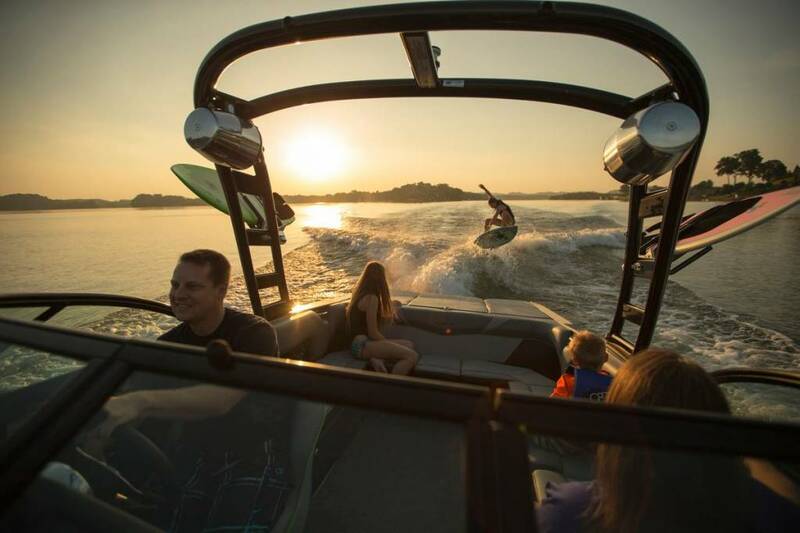 Wakeboarding is currently the fastest growing water board sport and involves being pulled with a tow rope behind a boat designed specifically for the task, such as Wild Wake's 25ft Moomba Mojo. Riders use the boat’s wake to jump and perform tricks - the ultimate water based adrenaline rush and potential for large air. 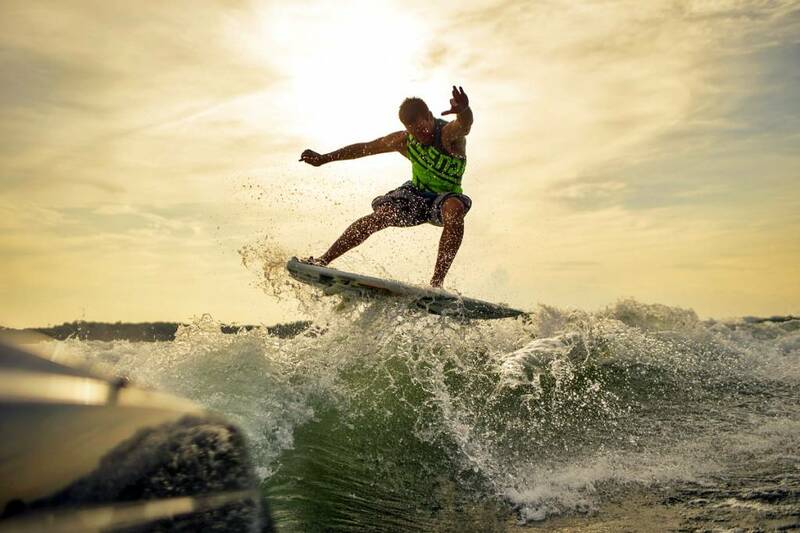 Wakesurfing is an evolution of wakeboarding and surfing which has been made possible due to new boat designs that are capable of creating a massive surf wave. Wake surfers ride the wave created behind the boat as if it was an ocean wave, without using a tow rope connected to the boat. Surf a wave without having to wait for the perfect ocean swell! 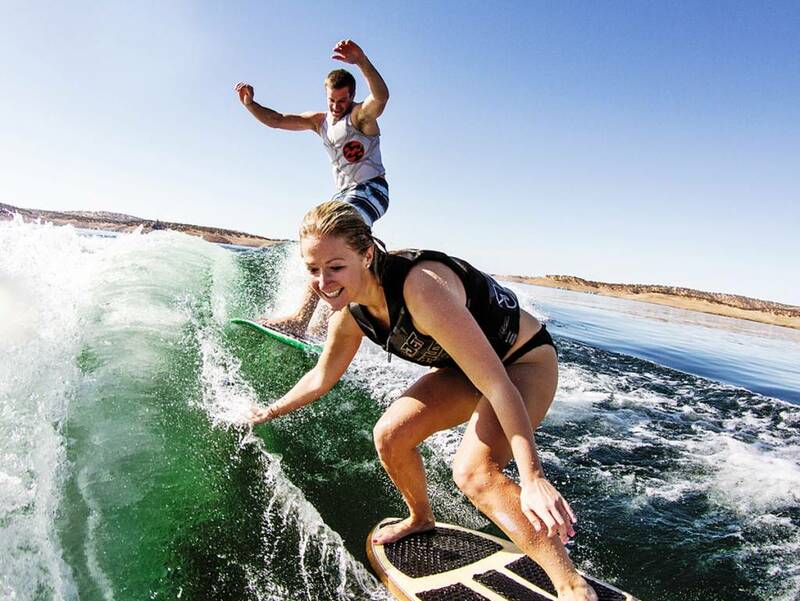 Wakeskating is similar to wakeboarding except for the board that is used. A wakeskate board is like a skateboard without wheels in terms of shape and size that is not strapped to the feet and thus allows riders to perform skateboard style tricks on the water. 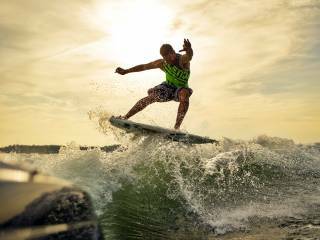 In kneeboarding, riders kneel down on a purposely made board and get towed behind the boat at a more leisurely speed than when wakeboarding. 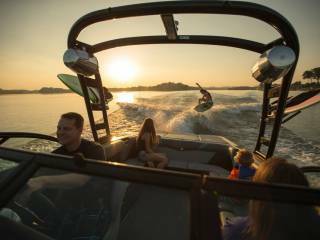 The more adventurous can even try small jumps off the wake, or carving across the wake.